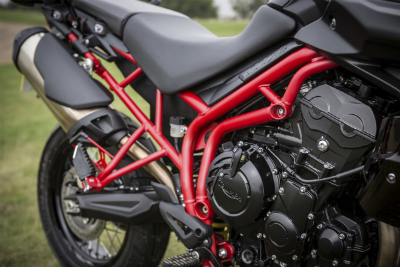 This special edition 2014 Triumph Tiger 800XC is a real looker. The new Volcanic Black paint is highlighted by red metallic highlights while the fire-red frame grabs your attention. 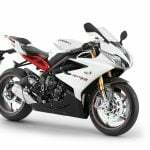 Exhaust heat shields and pillion grab rails are also black. 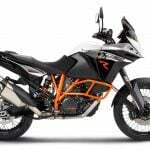 The Tiger 800XC SE comes standard with switchable ABS, a long travel 45mm upside down front fork, and a 21-inch spoked front wheel. 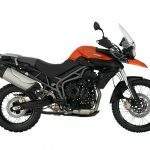 Triumph says the Tiger will be available in dealers in Spring of 2014 with a retail price of approximately $14,000 – about $2k more than a standard 2013 model Tiger 800XC. 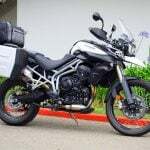 We reviewed the Tiger 800 and 800XC earlier in 2011 at the motorcycle’s press launch then compared the Tiger 800XC against the BMW F800GS later in the year. 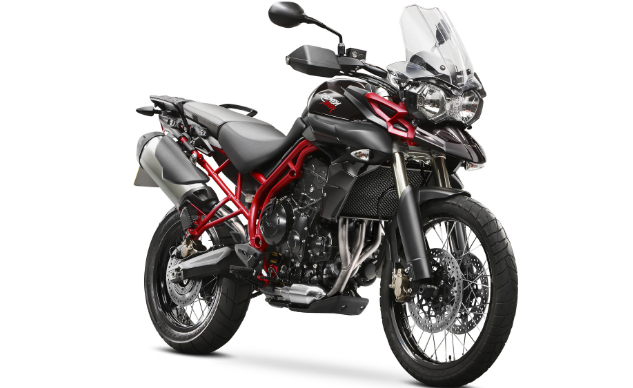 “Kudos are merited for the Tiger’s new 799cc engine, which is based on Triumph’s lovable 675cc Triple. 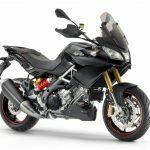 Exhibiting lots of low-end and mid-range grunt, the inline three-cylinder engine is even more impressive for its lack of vibration,” we said in our initial review.